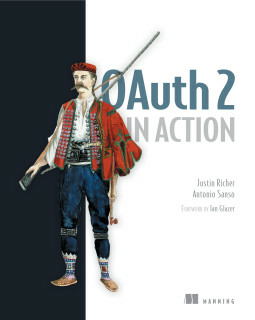 JSON Web Token (JWT) Profile for OAuth 2.0 Client Authentication and Authorization Grants specification that "inhertis" from Assertion Framework for OAuth 2.0 Client Authentication and Authorization Grants. This specifications makes and extensions usage of the concepts contained in the JWT and JWS protocols and it offers a great solution for solving an OAuth server to server scenario. In the real world there are already some big companies already providing support for this e.g. Google and SalesForce. If at this stage you feel a bit dizzy, fret not, you are not the only one :). The snippet can't be used anymore. It relies on the trunk branch (aka development version) of Oltu library and in this version, the "sign" method has changed to become sign(SignatureMethod<SK, VK> method, SK signingKey). Any edit to come ? (And sorry for the bunch of deleted comments. It took me time to realize that "<" and ">" must be written as &lt; and &gt;). thanks Emmanuel for reporting. From the other end wouldn't make sense to keep the stable 1.0 version example? The matter is that your snippet makes use of the SignatureMethodRSAImpl class which is not part of the 1.0 stable version. This class is available in the development version only.